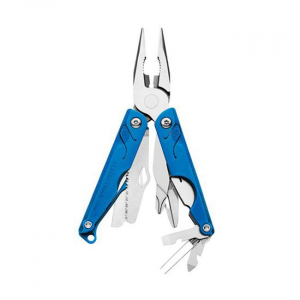 The Leatherman Charge TTI multi-tool combines 2 winning multi-tools, the Charge AL and ALX, to create this jam-packed tool that's easy and comfortable to use. 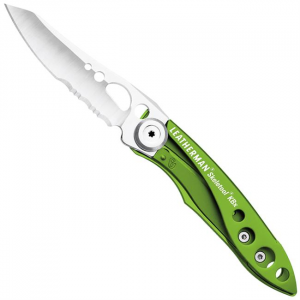 Cut, slice and dice your way through outdoor feasts and other tasks with the versatile Leatherman Juice B2 knife. Its simple, 2-blade design offers both a serrated and a straight edge. 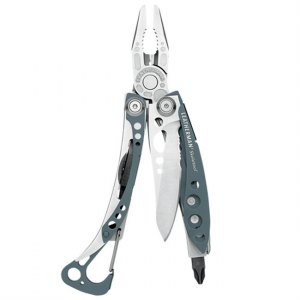 Weighing a mere 1.5 oz., the compact Leatherman Skeletool KB knife is great addition to your pocket. You won't even notice it's there until you need to slice a cord or open a cold one. The Sketetool KBx comes with a versatile combo knife blade thats great for heavy-duty work or for quick, everyday uses. The built-in bottle opener on the clip is handy too. 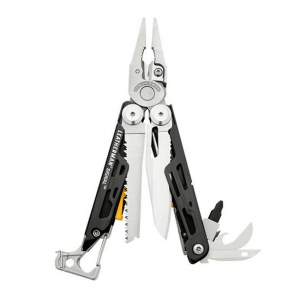 Take on heavy-duty work or quick tasks with the folding Leatherman Skeletool KBx knife. Its combination straight/serrated blade and built-in bottle opener are handy for everyday needs. 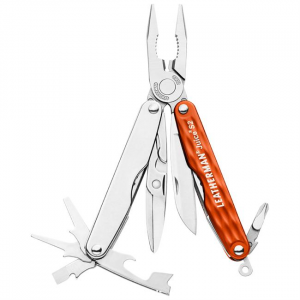 The Leatherman Skeletool multi-tool is stripped down to the bare essence. It combines high performance, a light weight and futuristic, rugged good looks!